This year I stayed in another hotel but still within Jongno area. Its a business hotel named Doulos Hotel. This hotel is value for money. 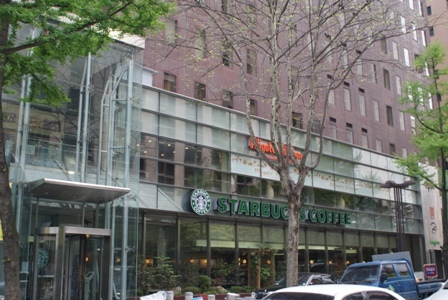 The area is near Cheongye and Jongno 3-Ga subway station. In any future travel to Seoul I will readily opt for this hotel than New Seoul Hotel. The location is great the rooms are just as good as New Seoul plus it has free breakfast buffet. 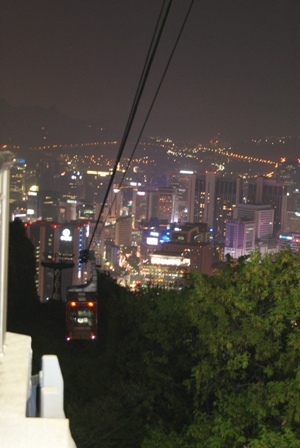 On top of it all, the hotel is 25 USD cheaper than New Seoul. 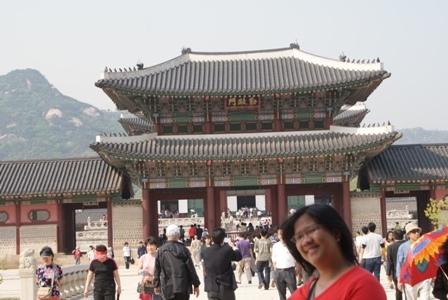 September was a good time to visit Seoul, the weather is perfect. The sun is shining but it isn’t hot. Late afternoon winds will make you wear a light jacket or shawl. Seoul still sparkles at night just like Hong Kong, you see a lot of people still hanging out. 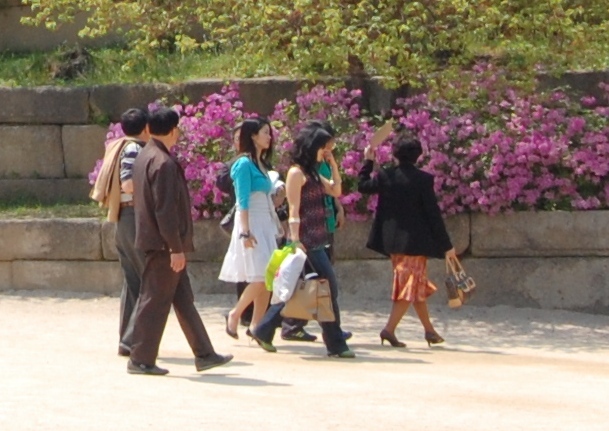 Seoul is still as interesting as it was last year, i thought nothing has drastically changed until I took the subway. I initially thought I am just trying to re-orient my self with the Seoul subway station as I was confused on how to secure tickets. I learned that 3 months ago, the government has put in place an automated vending for subway tickets. Close to Hong Kong MTR, only, card deposit for single journey can be refunded at any station through machine. There are of course reloadable cards which makes sense for the Seoul residents but for tourist like me, the single journey tickets works perfectly fine. As I am very interested in the Korean Culture and History, i took the opportunity to join DMZ tour. I was interested in taking the Panmunjom tour which actually allows you to get the closest possible contact with North Korea however, this tour requires 10 days reservation notice. Nevertheless taking the DMZ tour is a great experience. The first stop is in the DMZ museum where you can watch a short documentary on the history of DMZ which is of course connected to South and North Korean history. I could not help but shed tears in one shot where the little boy who appears to be naked was crying pointing to his lifeless mother. The war really created scars on people’s heart. Across the museum is the entrance to the 3rd infiltration tunnel. There are 3 other tunnels but these are not open to public for viewing. Doorasan Observatory...sneak peak to North Korea. Second stop of the DMZ tour is the Doorasan Observatory. According to our tourist guide this is the highest point within the DMZ area which makes the place highly coveted by both south and north. 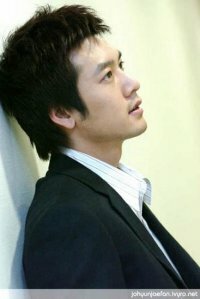 It ended up to be part of South Korea’s area where they can readily check their brothers on the other side. Third and the final stop is the Doorasan Train Station. This station has been reconstructed after it got devastated during the war in the 50’s. This station is symbolic of the longing of the South Korean to re-unite with their brothers from the North. Currently it carries raw materials to Kaesong province of North Korea, the place where collaboration between North and South Korea happens in terms of productivity. 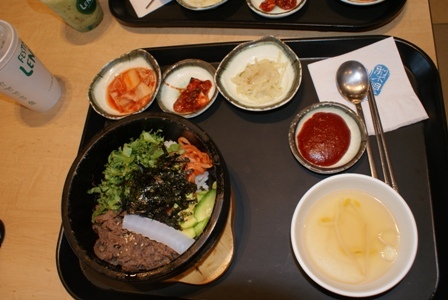 In this trip i had the most native Korean meals. 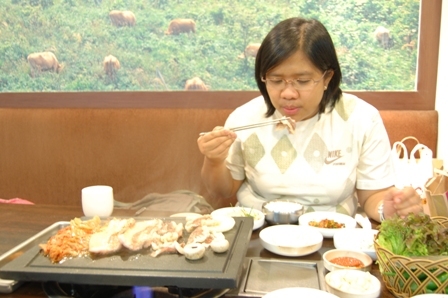 I tried all the popular dishes prepared authentically. I had bulgogi (beef strips), bibimbap (mixed beef, rice, vegetables and pepperpaste), samgyeopsal (pork grilled served with side dishes) and some street food. It is also first time for me to eat in an authentic Korean restaurant where you eat seated on the floor. Seoul is such a vast city to wander around. The city center actually have 5 Palaces, two of which i was able to visit 2008 and only 1 for this year. 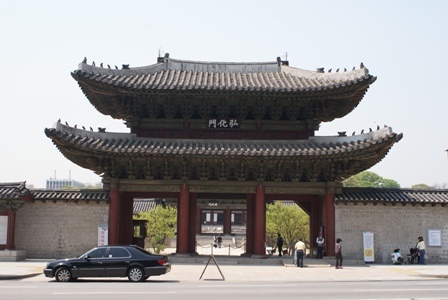 This is the palace nearest to the City Hall called Deoksung-gung. It never fails to captivate one’s attention as it is nestled in the busy streets of Seoul City Center. 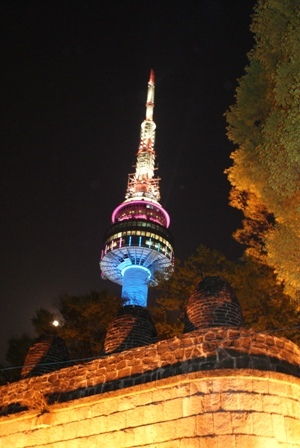 It creates a perfect contrast to the modern city of Seoul. 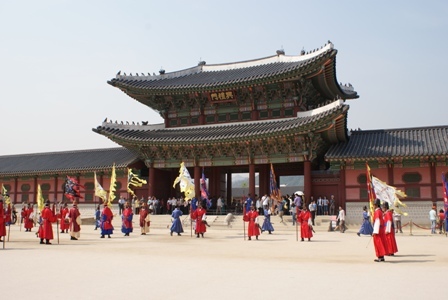 I know there are still a lot of places to visit in Seoul and South Korea…so I am now starting to dream of my 3rd visit.